Since 1996, we've been one of the top-rated companies in the area for professional siding service. 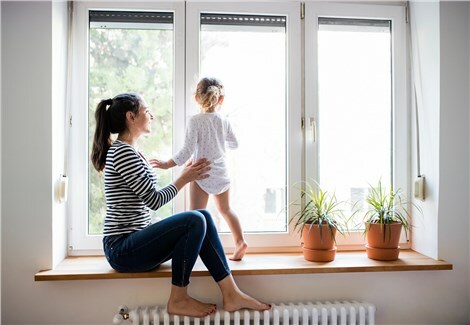 Your home is your greatest investment, and you want it to remain well-protected for decades to come—even in the ever-changing seasonal climate of Chicago. At WindowWorks, our Chicago siding installers are committed to providing you with affordable, streamlined services that ensure you get the most out of your local home. When it’s time to plan a siding replacement, you want to work with trusted local siding installers that understand the unique needs and challenges of living in the Chicagoland area. At WindowWorks, we have decades of experience in professional siding installation, and we offer customized, innovative solutions that help you get the most out of your local home. High-Quality Products: We only bring you products that we know will stand the test of time, and all of our siding materials are engineered for lifetime performance. Professionally Trained Crews: Our local siding installers are trained, certified, and skilled in handling everything from siding repair to full-service replacement. Customized Home Solutions: You want your home to reflect your personal style, and we can help you customize your siding installation for superior curb appeal! Even the highest-quality siding products are only as good as their installation, and you’ll be guaranteed the best in expert service and top-notch siding solutions when working with the certified, professional team at WindowWorks. Learn more about our siding services and how we can customize your home’s exterior by giving us a call today! You can also fill out our online form now to request a free estimate and consultation.